The SUV has an estimated range of 800 km (500 miles). 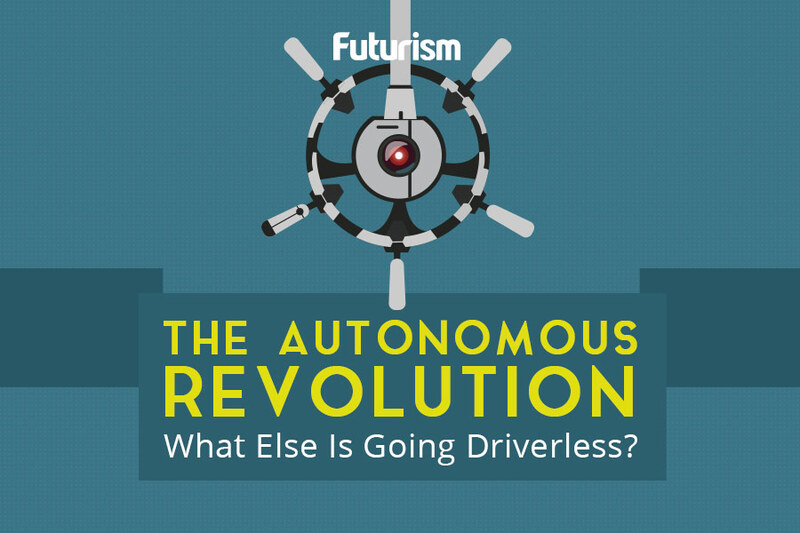 When it comes to the future of clean and safe transportation, all bets seem to be on electric autonomous vehicles. These combine two of today’s most advanced technologies — electric motors and self-driving software. While both have seen much improvement, there’s still a lot of room for further development. Which is why not every carmaker is particularly keen on the regular electric motor to power their next-generation driverless vehicles. One such car manufacturer is South Korea’s Hyundai, which unveiled the Nexo at this year’s Consumer Electronics Show (CES). 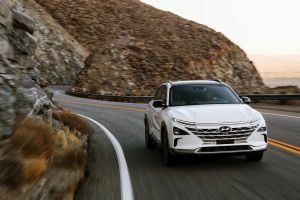 A crossover SUV that runs on hydrogen fuel, the Nexo has a range of approximately 800 km (500 miles) and is capable of a full refuel in only three to five minutes. When it comes out this March in Korea, refueling would mean taking the Nexo to dedicated Hydrogen Refueling Stations. The Nexo comes with semi-autonomous technology that Hyundai promises will be advanced to Level 4 autonomy by 2021. That might not be much of a stretch, though, considering the Nexo’s recent driving demonstration performance earlier this February. 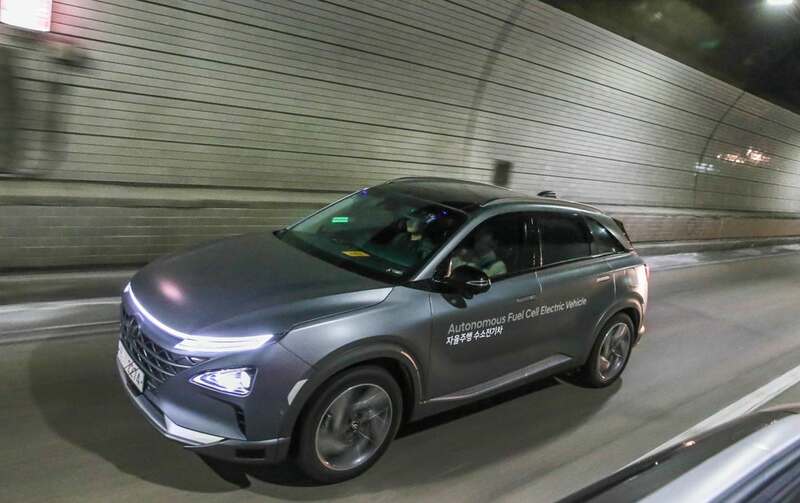 According to reports, the Nexo SUV set a record for autonomous driving on a highway when it completed 190 km (118 miles) on full “cruise” mode. The stretch was managed by three Nexo SUVs and two Genesis G80s — from Hyundai’s luxury brand — outfitted with self-driving systems that follow Level 4 autonomy standards as described by the Society of Automotive Engineers (SAE). It’s reportedly the first time a self-driving vehicle traveled more than 100 km (62 miles) at the maximum allowable speeds of up to 110 km/h (68 mph). All the while, the vehicles successfully overtook slower vehicles, changed lanes, and used automated toll gates — all without human intervention. 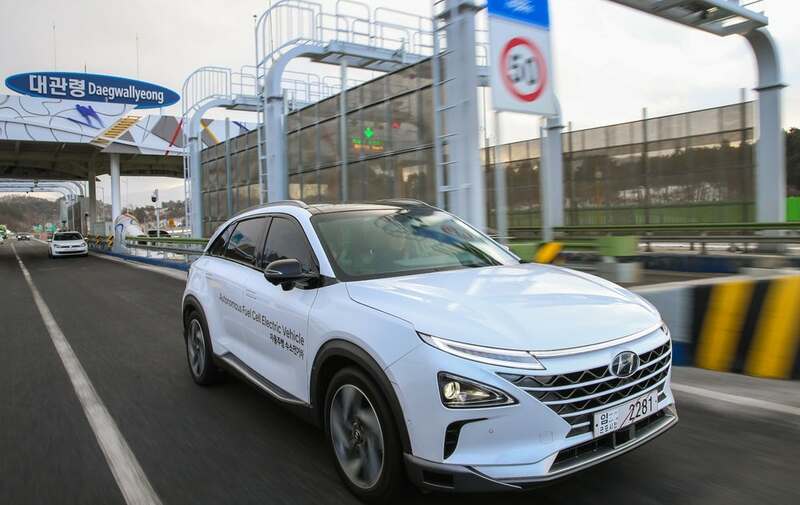 “We conducted a significant number of highway test drives amounting to hundreds of thousands of kilometers traveled, which enabled them to accumulate a vast amount of data that helped enhance the performance of our self-driving vehicles,” Hyundai said, a local news outlet reports. This kind of performance demands more than the typical electric car battery, Hyundai global’s vice chairman Chung Eui-sun told CarAdvice at CES. He explained how vehicles with Level 4 autonomy (as well as Level 5) would require energy that could power the vehicle’s onboard processing computer while it handles 200-300 terabytes of data. “[Pure] electric vehicle battery is not enough for that, so maybe fuel cell can cover that amount of data processing,” explained Eui-sun. Best of all, the only “waste” from hydrogen fuel-powered vehicles is water vapor, which could be collected and stored for later use. The technology isn’t exactly new, although uptake has been rather slow because of particular hurdles. Hyundai developed their first hydrogen fuel cell engine in 1998, and has since worked on perfecting the technology. Now, alongside Hyundai, other carmakers are looking at hydrogen fuel cells again for developing cleaner vehicles.